Book cover, showing the plane till in my basement workshop. 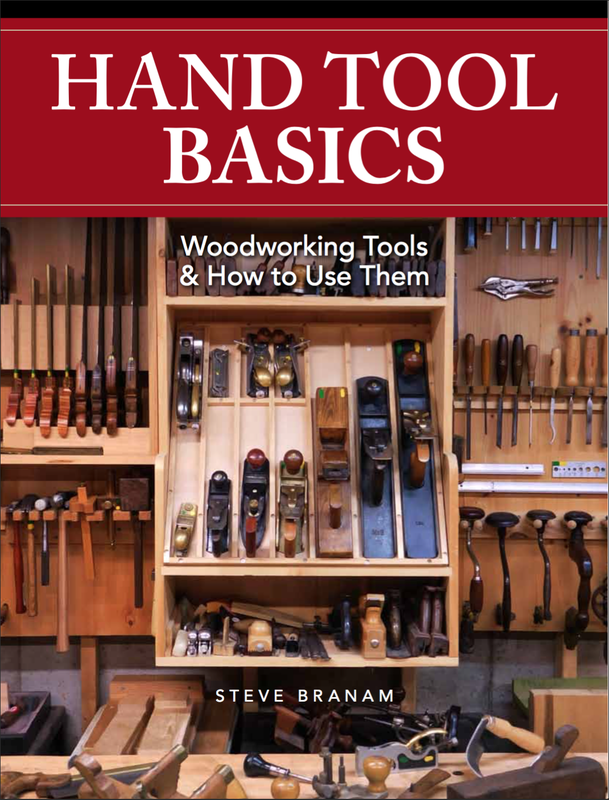 If you'd like a copy of my book, Hand Tool Basics, published by Popular Woodworking Books, it's now available online at ShopWoodworking.com. It's available in both hardcopy and e-book formats. 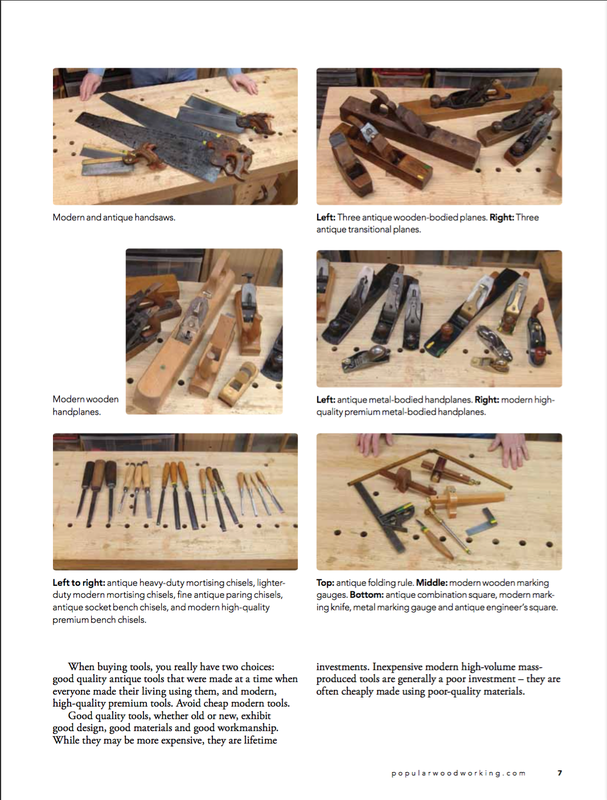 It's a direct companion to my video series, Intro to Hand Tools (more information on the series, including the free Part 1 and sample lesson, is at Intro To Hand Tools Downloadable Videos). Whether you want to augment your power tool woodworking with some hand skills or you want to do everything with hand tools, whether you have a big shop or just a tiny space, this is for you. The images in the book are taken from the digital video I recorded for the series, and its organization and content match the series. 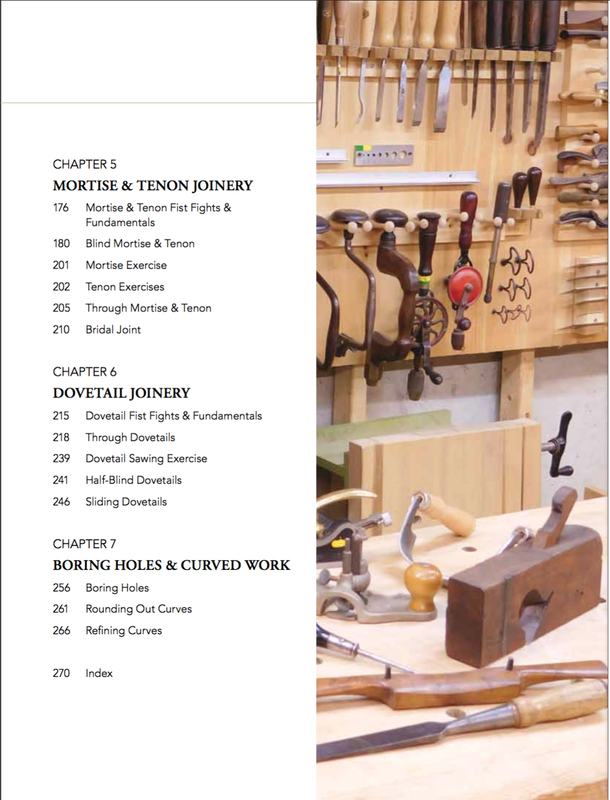 The book is therefore a matching visual reference for hand tool woodworking, with some 1400 captioned photos. Some people prefer learning from videos. Some people prefer learning from books. It's nice to have both so you can sit back and watch the videos, then have the book with you on the workbench as you follow the steps for a procedure. The dynamic images in the video allow you to watch the tools in motion, while the static images in the book freeze the action so you can take your time examining details. These complementary views help you get the whole picture. You can see my acknowledgements and references here. These are the people who gave me the knowledge. 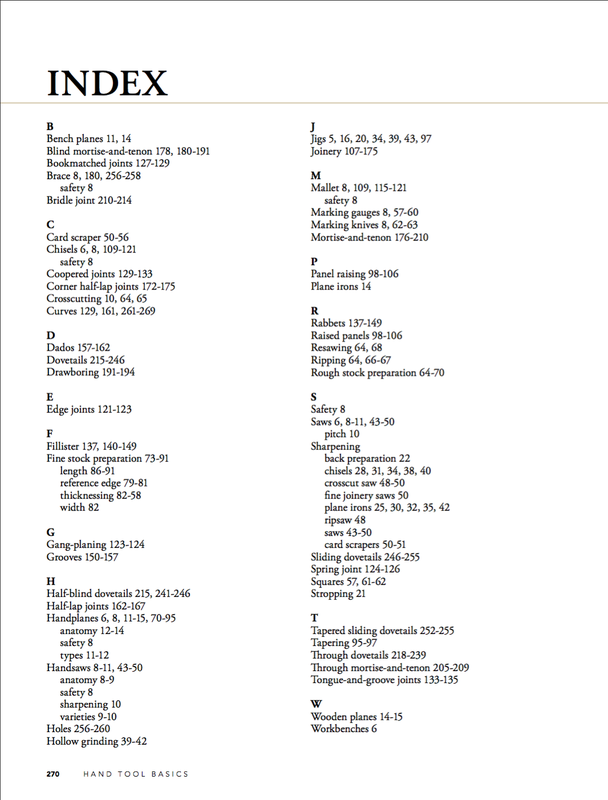 Here are the full Contents and Index pages so you can see what's covered. As always, I like to show multiple ways of doing things, so you can tackle any situation based on the tools you have available, your personal preferences, and your current skill level. Here are a few sample pages representative of the layout and level of detail in the book. 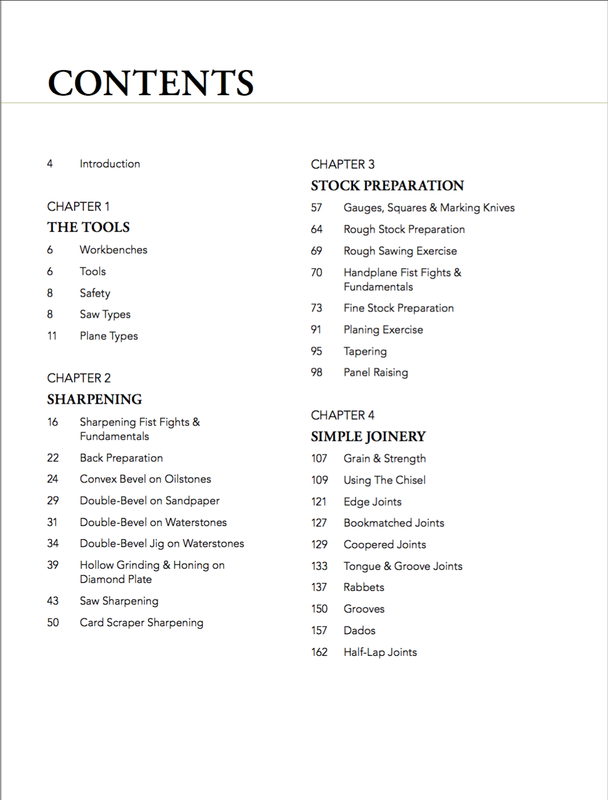 From Chapter 1: The Tools, showing a selection of the tools covered. 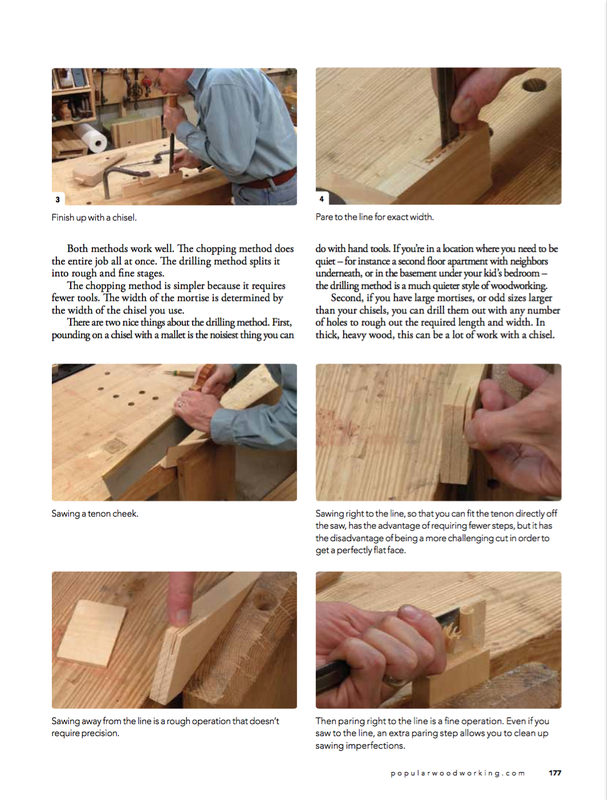 From Chapter 5: Mortise and Tenon Joinery, showing some of the fistfights and fundamentals. 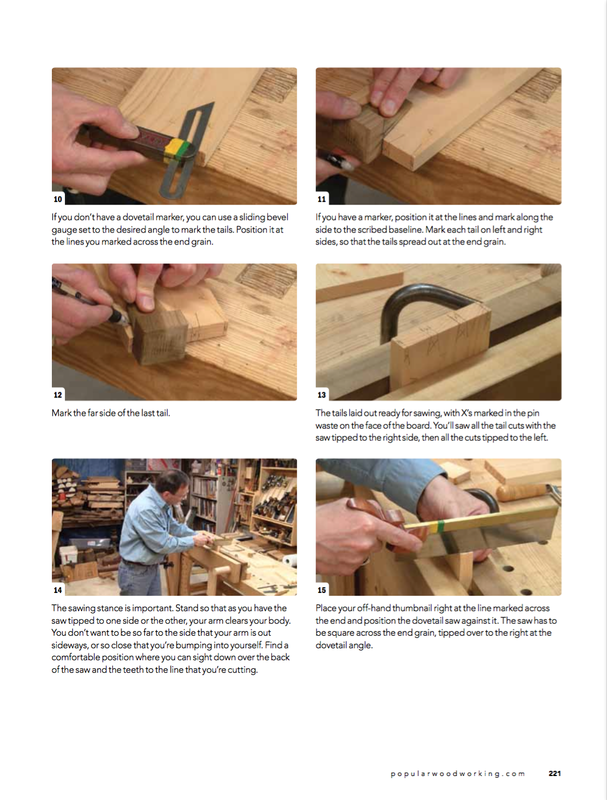 From Chapter 6: Dovetail Joinery, showing some of the steps laying out and sawing a tails-first through-dovetail. Feel free to email me at sdbranam@gmail.com if you have any questions about anything in the book. One of the challenges is getting just the right explanation that conveys the information to all readers regardless of their experience and skill level, and sometimes that fails.